So concerned, in fact, that they posted this info video on Twitter explaining the rifle used by the Texas shooter, and all the possible after-market accessories you can buy for it – including, apparently, chainsaw bayonets. Now, to be fair to USA Today, whoever wrote this article must’ve been more proficient at Googling than they are at understanding and explaining firearms. There is, in fact, a chainsaw bayonet for an AR-15 – you just won’t find it on the shelves of your local Bass Pro. 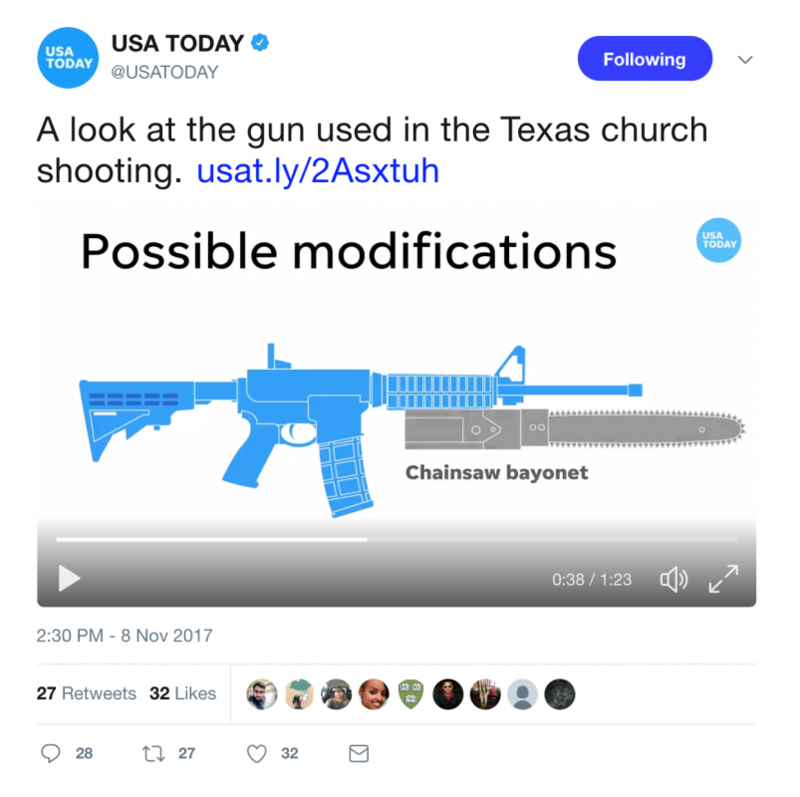 USA Today's infamous "chainsaw bayonet" is basically a funny gerry-rigged gizmo that some dude made in his garage back in 2008 or something. The guy literally strapped a chainsaw blade with a motor to the end of his rifle, took a video of him using it to hack apart a few defenseless pumpkins sitting on a log, and uploaded it to YouTube and a couple of forums. It was hilarious, and now I want one. Here's a closeup of his homemade contraption. 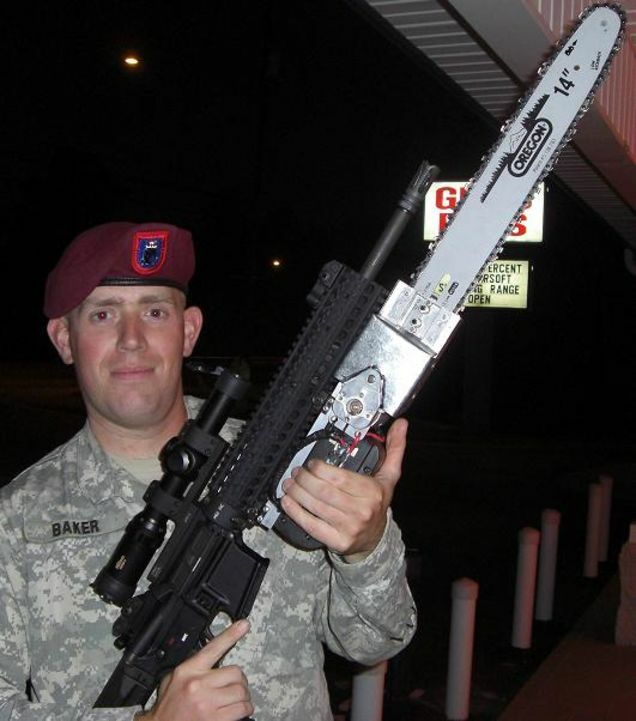 There’s USA Today’s infamous chainsaw bayonet. 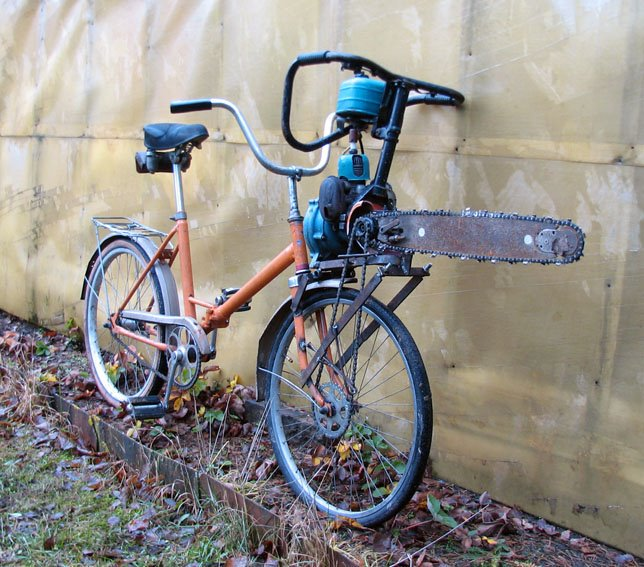 If it helps, you can also apparently strap one to the front of your bike, turning your Huffy into a terrifying Assault Cycle. Then again, I guess it's really no different than that time Vox claimed you could put a grenade launcher on the end of your AR-15. PLEASE, no one tell them about the top-mounted 750-foot flamethrower or we'll all be screwed. H/T to Ashley Rae Goldenberg for this one, since she can clearly stomach far more time on Twitter than myself.